A bedroom that exudes a sense of serenity is a pleasure to call your personal everyday retreat. Whether it is at the end of a long day, or a lounging lazy Sunday, your bedroom is your Shangri-La. To impart that bright, clean, revitalizing look to your sleep space, consider revitalizing it with a chic classic favourite color – white. There are several reasons why white furniture and accessories have always been in vogue. Perhaps the main advantage to using white is the feeling of space and openness. White reflects the light streaming into the room, making your space look roomier. If your idea of white is a single color tone, think again! White can be warm or cool since it comes in several delicate shades like eggshell, ivory, alabaster and parchment. Not only this, white goes well with a diverse style of interiors, complimenting your existing wall color, art and bedding linen. Nurseries are often done up in white because of its soothing mien. White also works well when you are looking for a neutral hue for a child’s bedroom. A guest room in soft white conveys an open, welcoming aura to your visitors. One factor in selecting white for a bedroom is the flexibility that it brings to your décor. The look of a room with white furniture can be transformed with new drapes, hangings, wallpaper or bright accessories. You can keep it elegant by staying with different textures and patterns in pale gray or silver, or brighten it up with a vibrant bedspread, rug or throw pillows. Another option is to add a few statement pieces in accent colors like turquoise or tangerine to break up the monochromatic palette. While you are scouting for white furniture, you could keep an eye out for lamps, blinds and textiles in balancing shades. It’s time to make that lifeless space look contemporary and interesting, and to bring to it a fresh, positive energy. 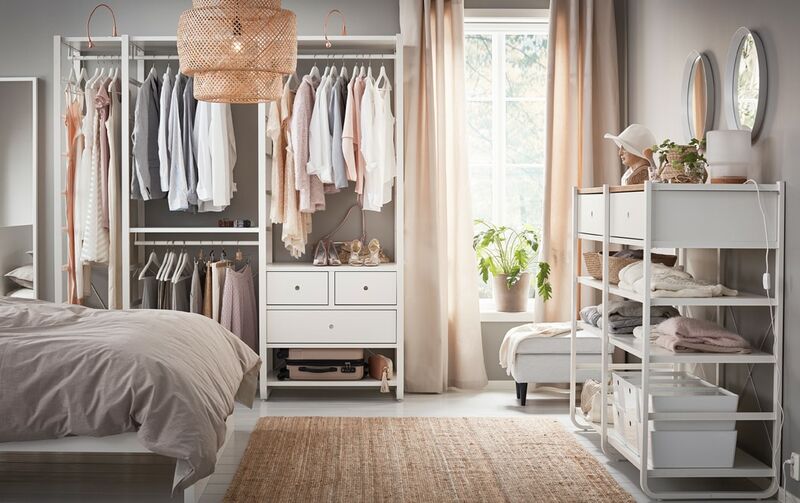 Whatever be your vision – a breezy, seaside cabana or a shabby-chic cottage, recreate your bedroom with a white canvas and it will soon become a restful and peaceful personal sanctuary.